Project: For this project we worked with one of our affiliate designers to create this page for Suzy. This page was created to give visitors a history of Suzy and her writing career and showcase her upcoming work and appearances. 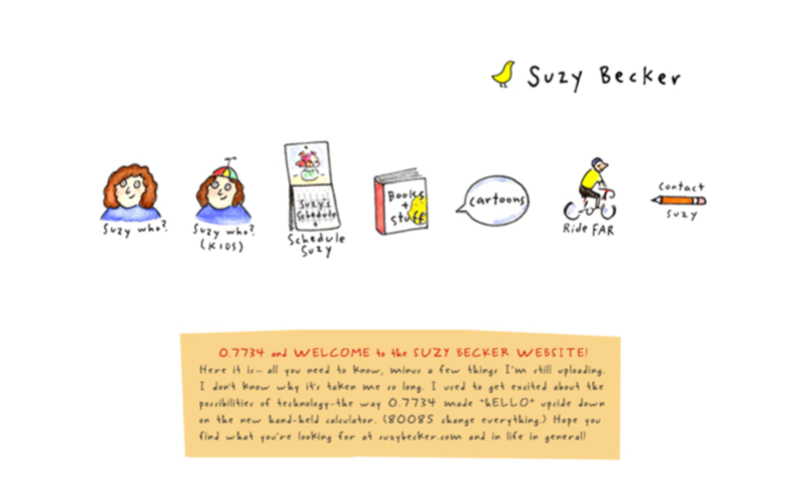 Summary: We are very pleased to welcome author, cartoonist, humanitarian, Suzy Becker to our SLAB500 community. Suzy is the author of "All I Need to Know I Learned from My Cat (And Then Some)" and "I Had Brain Surgery, What's Your Excuse?" This design was worked created by Fyfe Design in Cambridge MA.